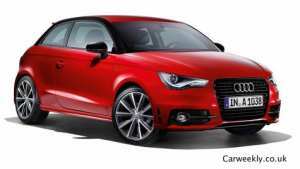 Okay the Audi A1 is based on a VW Polo. But the build quality is great and the design is contemporary and will age well. These cars will still look good in 5 years time. While the Audi A1 is not as dynamic to drive as the Mini. It is still assured and has a decent comfortable ride. There is no question that it is a better all round package than the Citreon DS3. The main downside is the limited rear room. Which will see 2 6ft plus adults struggling to feel comfortable on a longer journey. It could be worth considering a used A1 if you look at our page Audi A1 for sale you will see a selection of cars for sale. Other than that, we prefer the petrol engines and wouldn’t bother with the diesels. The interior has a feel of quality associated with larger Audi models. The Audi A1 obviously has the Audi badge and prestige which will sway to fashion conscious.